June 28th, 2012, Today on Capitol Hill, The D. James Kennedy Center for Christian Statesmanship held their ‘17th Annual Distinguished Christian Statesman Award Reception’ in the Columbus Club at Union Station. The recipient recognized for this year’s highest honor is the Honorable Joseph R. Pitts, the United States House of Representatives 16th Congressional District of Pennsylvania for his service as a Christian Statesman who is helping to show the way for all who desire to guide our nation at this time in history. 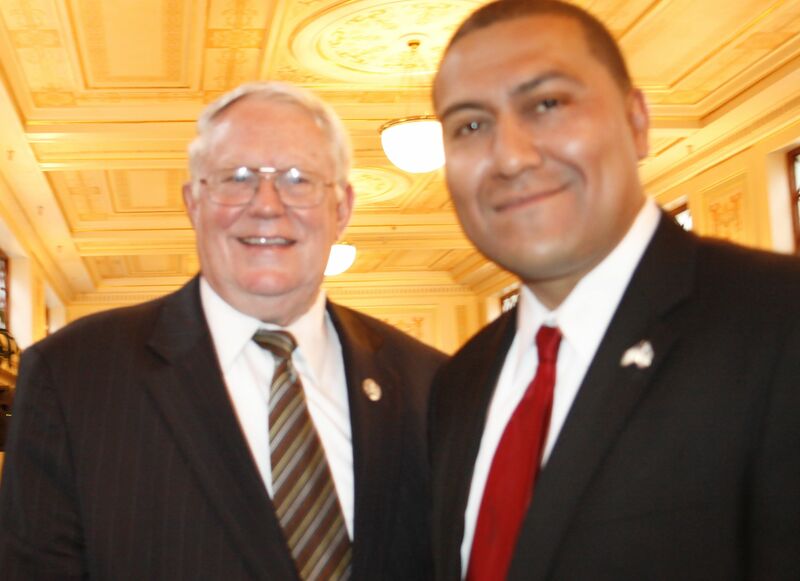 Amongst the numerous works he has done during his eight terms in Congress, Representative Pitts is serving as the vice-chairman of the International Relations Subcommittee on International Terrorism, Nonproliferation, and Human Rights, and has become widely recognized as a principled, respected voice on international human rights issues such as religious freedom, trafficking in persons, HIV/AIDS relief, and foreign aid. He is one of the leading Christian statesmen of our time. Amongst those that attended the elegant ceremony were United States Presidential Candidate Dr. Wiley Drake, United States Vice Presidential Candidate Dr. Robert Ornelas, Honorary Ambassador at Large for the Republic of Burundi Dr. Clyde Rivers, House Representative Trent Franks, and the Honorable Ruth Mizell. The evening was topped by special guest singer Chris Holloway.